In LISTING 18.3 “CSS for a Responsive Form” (page 257) I include a position for the label of an input box to hide it from view. But the position values I used would cause the browser to create massive scrollbars both vertical and horizontal. This is easily corrected by positioning the top and left styles negative 9999px each. While responsive web design uses CSS to adjust web designs to respond to the devices viewing the page, you need to start with good HTML. 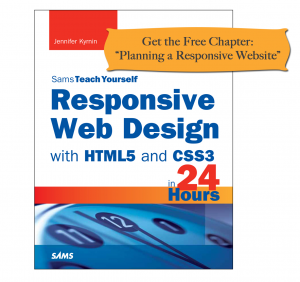 Chapter 5 of my latest book Sams Teach Yourself Responsive Web Design in 24 Hours helps you learn the basics of HTML so that you’re ready to create a responsive website. And this chapter is available for free on the Informit website. Note that if you’re a complete novice to HTML, this chapter will only be a starting place. It’s intended as an introduction to the minimum HTML you might need to do RWD. 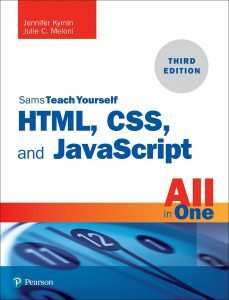 If you need to learn HTML, you should check out my first Sams book: Sams Teach Yourself HTML5 in 24 Hours (get a copy). Are you interested in learning responsive web design? I’m excited to announce that my latest book Sams Teach Yourself Responsive Web Design in 24 Hours is out and available in bookstores and online. If you have any questions about the book, or find any problems, I’d love to hear about it. Feel free to post comments below. This book is intended for web designers who already build websites but are interested in making their sites responsive. But it can also be used by motivated novices who have some understanding of HTML and CSS and want to build sites that use the most modern techniques. In it you will learn the basics of RWD as well as how to make things like images, videos, tables, and forms responsive. You’ll learn about tools that are available to help create responsive sites and there is a chapter dedicated to best practices of RWD as well as showcasing multiple websites that are already using RWD to provide great designs for customers on multiple devices. If you’ve been wanting to learn RWD, this book will make it easy. 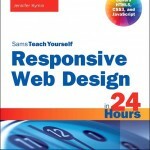 Sams Teach Yourself Responsive Web Design in 24 Hours is available in paperback and ebook formats. Plus, you can get a Learning Lab edition that also includes videos demonstrating what you learned as well as interactive quizzes to help test your knowledge. Order your copy now. You can also look at the book’s code samples online. I just sent in the last chapters after reviewing the copy edits and tech edits. Whew! I am very glad to have such great editors – Jon, my tech editor, and Kitty, my copy editor. They both saved me from some major screw ups and I couldn’t have done this book without them! And as usual any errors that still make it through were not because of them. Now I just need to finish the videos. I’ve got an editor working on editing them, so they should be done soon. And don’t forget to check out the free chapter if you haven’t already gotten it. Are you interested in responsive web design? Are you impatient to get my next book? Do you need to convert your existing website to be mobile-friendly but don’t know where to start? Do you not yet have a website and want help presenting your ideas to a designer? If you answered yes to any of the above questions, then this chapter is perfect for you. 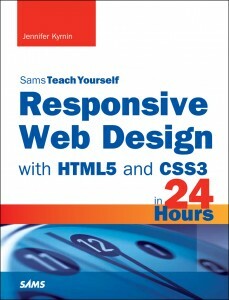 I am offering an advanced copy release of my new book Sams Teach Yourself Responsive Web Design with HTML5 and CSS3 in 24 Hours for readers of this website. I’m excited to tell you that my next book Sams Teach Yourself Responsive Web Design with HTML5 and CSS3 in 24 Hours is available for pre-order on Amazon . I’m pleased with how it’s going so far. The chapters are coming together well, and it’s been a lot of fun writing it. I’ve posted the Table of Contents on this site, and I hope to provide some other freebies related to it, as well. If there’s a chapter that’s of particular interest to you, please let me know. Navigation is a critical part of any website design, but it’s amazing how many web designers simply “set it and forget it.” In other words, it’s tempting to create a navigation menu once and then just leave it the same for every device size. But navigation is important, and building one version and hoping it’ll work for all is very risky. 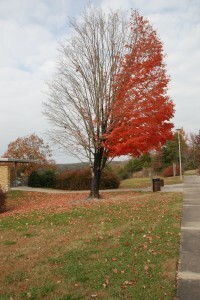 This tree is halfway done too! As of today I am about half way through the writing of my next book sSams Teach Yourself Responsive Web Design with HTML5 and CSS3 in 24 Hours. If you’d like to be one of the first to know when it’s available for purchase you can sign up here or subscribe to the HTML5 blog. After the break is the current table of contents. I’m close to half way through the initial writing of my next book Sams Teach Yourself Responsive Web Design with HTML5 and CSS3 in 24 Hours. The full title is quite possibly the longest title in the history of the universe. Okay maybe not, there was that movie The Englishman Who Went Up a Hill But Came Down a Mountain. That looks longer, shoot, no that’s only 58 characters long! But regardless of the length, the book is coming out soon, and I’m pretty excited. I hope you are too. Over the next few weeks I’ll start posting more about that book as well as about HTML5 information. I’ve got some big plans for this site, and I hope you enjoy them. As always, if you have any questions about HTML, CSS, or even responsive web design, don’t hesitate to ask.